All most all of us have tried the most extreme of diets and toughest of workouts at some point in our lives in order to lose weight, but most of these efforts have been short term bursts which have eventually resulted in failed attempts. But what if I told you that there is a simple and consistent way to lose weight through eating the right foods? Yes, you heard me right and the food that we are talking about here is green smoothies made with lots of leafy greens and fresh fruits. 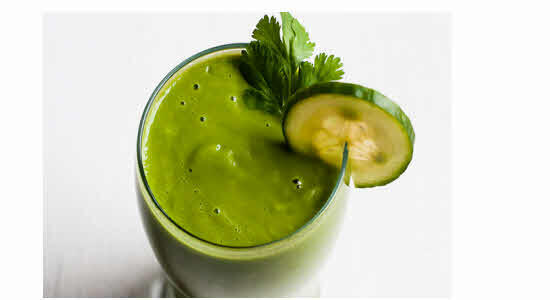 Green smoothie is a low-fat food that contains all the essential vitamins, minerals, healthy carbs and fiber, minus the fats that helps to tone down your cravings for unhealthy junk foods. Healthy green smoothie recipes also help to detoxify the body and boosts up your metabolism which leads to faster calorie burn. It also helps to balance the pH of the body and bring it to a healthy alkaline state. A body that is too acidic is a storehouse of fats. In this article, we have listed some of the healthiest smoothie recipes that you can enjoy as a breakfast or snack in between meals. 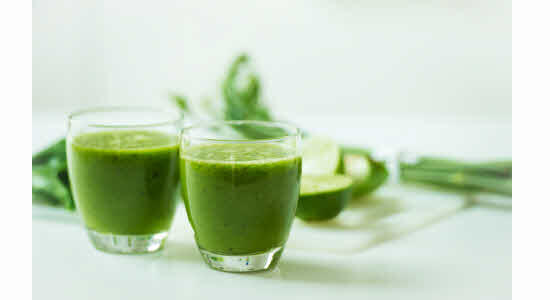 This is the ultimate green smoothie that you need for losing weight, rejuvenating your skin, the signs of ageing and boosting energy. No wonder, so many Hollywood stars swear by its benefits. This green smoothie recipes helps to detox the body which in turn boosts metabolism and speeds the fat burning process in the body. This is one of the healthy green smoothie recipes that contain the goodness of coconut water along with the leafy greens that is a powerhouse of essential minerals. Starting your day with a glass of this Green Drink helps to fill you up and jump start your metabolism for faster weight loss. 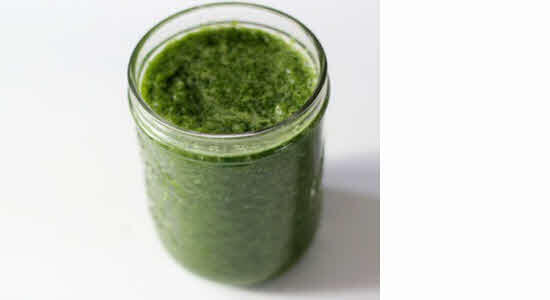 The parsley used in this smoothie helps to get rid of the heavy metals stored in the body. 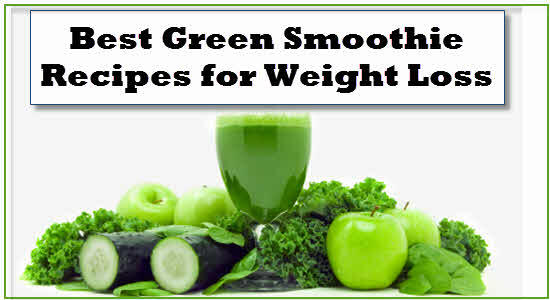 Detoxification is the first step towards weight loss and the Green Detox Smoothie is one of the most effective weight loss smoothies which help the body to cleanse itself inside out and get rid of toxic chemicals and heavy metals. The key to make a perfect detox smoothie is using lots of different fruits and vegetables that are loaded with water, fiber, vitamin C and chlorophyll that purify the blood and cleanse the body. 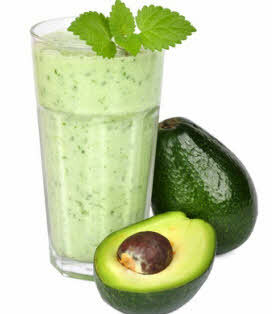 You must be wandering why we have included calorie-rich avocados in a weight loss smoothie recipe, but to tell you the truth, avocado is the most important ingredients in this recipe that makes all the difference. The fats in avocado are mostly healthy monounsaturated fats that promote weight loss by boosting the metabolism and increasing satiety. The catechins in green tea also act as a metabolism booster that helps to burn the stored fats in the body. Let it sit for 30 minutes to an hour before consuming it. This is one of the easy smoothie recipes that require only a few basic ingredients but taste amazing. Grapefruits are an extremely beneficial fruit for weight loss that helps to reduce the stubborn belly fat by stabilizing blood sugar and reducing insulin levels in the blood. 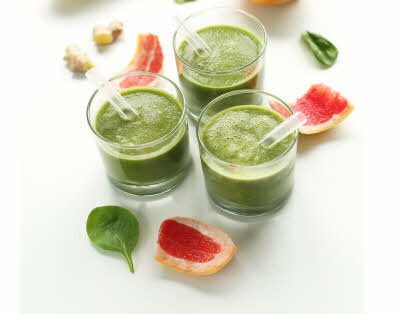 Grapefruit also helps to curb hunger and cravings by boosting the liver enzymes, which in turn aids weight loss. Not many of us know that there is a strong link between digestion and weight loss. Poor digestion leads to suboptimal absorption of vitamins and minerals which can affect weight loss. This Digestive Aid Smoothie is one of the low fat smoothie recipes that improves the digestive system and promotes weight loss through better absorption of nutrients and better functioning of the liver and hormone-releasing glands. 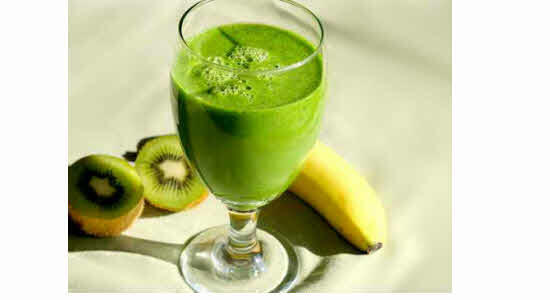 This is one of the best green smoothie recipes for weight loss thanks to its high protein content. Protein not only acts as a source of energy, but functions as the building block of muscles that promotes the formation of lean muscle mass by replacing fats. The Matcha Pear Green Protein Smoothie can be consumed as a post-workout smoothie that gives an instant boost of energy to the body and helps you recover from a tough workout session. When it comes to recipes for smoothies, especially green smoothies, kale and spinach makes the perfect combination that is packed with vitamins, minerals, antioxidants and fiber. The thick coconut milk is a great source of healthy medium chain triglycerides, a type of fatty acids that boost metabolism and promotes the body to burn more calories, even when it is at a state of rest. It also curbs appetite, thus making you eat less even without trying, which also helps in losing weight. 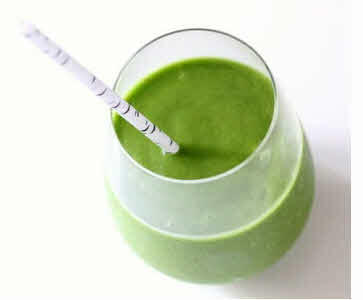 The combination of oats and flaxseeds in a green smoothie recipe makes a power packed combination. 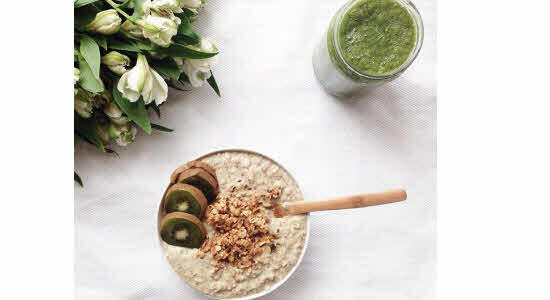 The insoluble fibers in oatmeal help to decreases cholesterol levels and waist size and also help to increase satiety. The omega-3 fatty acids and lignans in flax seeds helps to drop the pounds by boosting the levels of adiponectin, a hormone produced by the fat cells that regulates the metabolism and glucose and lipids. 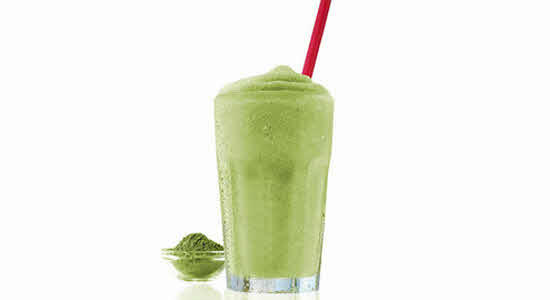 This is a slightly different green smoothie that does not really taste green (vegetal). 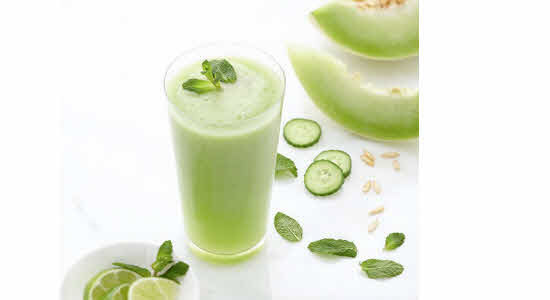 It is a delicious and refreshing green smoothie that contains the refreshing goodness of honeydew melons, coconut milk and fresh mint. Melons are natural weight loss food that provides a decent dose of fiber which helps to fill you up without adding empty calories. So, what are you waiting for? Try out these healthy and filling green smoothie recipes that act as a quick, easy and convenient source of essential nutrition without the calories.